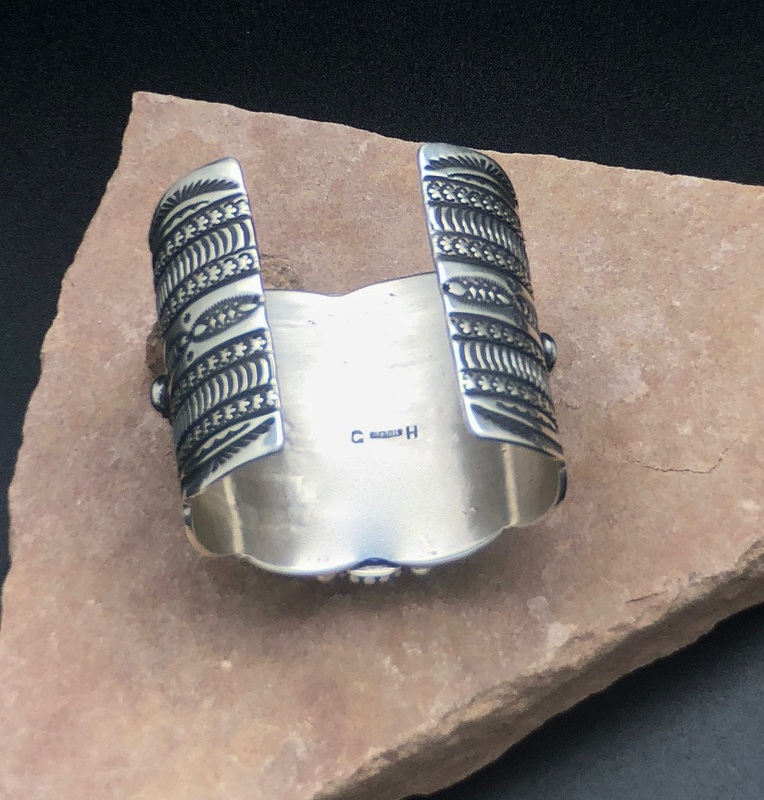 This traditional old style Navajo bracelet was entirely handmade of solid sterling and signed by Aclaimed Navajo artist Guy Hoskie . 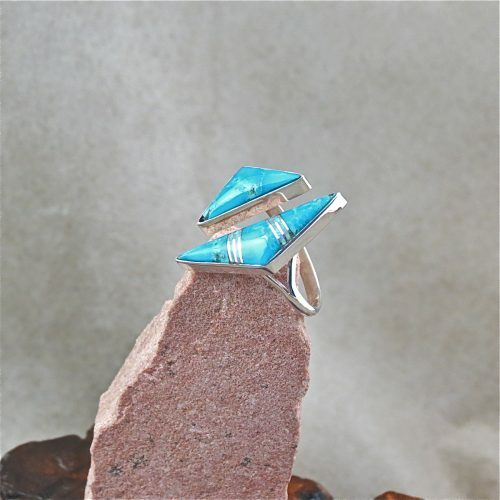 Featuring a single piece of high grade Royston Turquoise from with a smaller piece of the same Turquoise on either side . The bracelet is approximately 2″ wide. Measuring 5 1/2″ on the inside with a1 1/4″ opening. 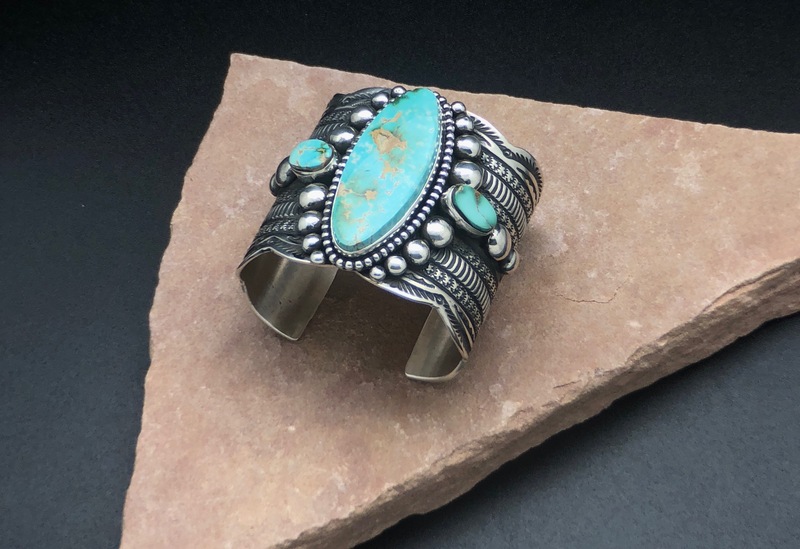 Mounting is a very unique style that can be done by only a few the finest silversmiths. 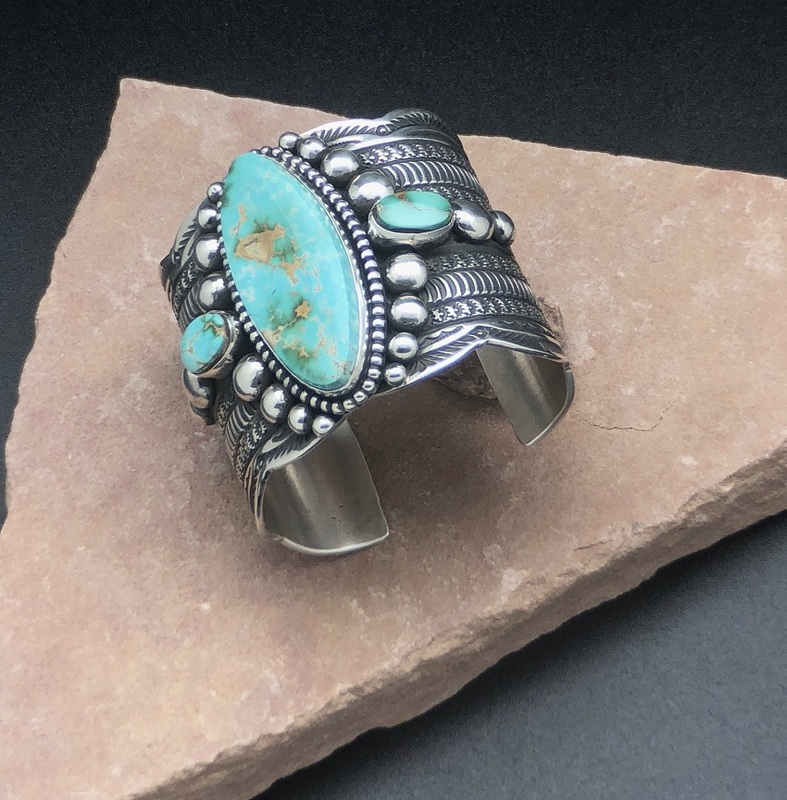 It features hand stamp work from end to end with the stones mounted on top. 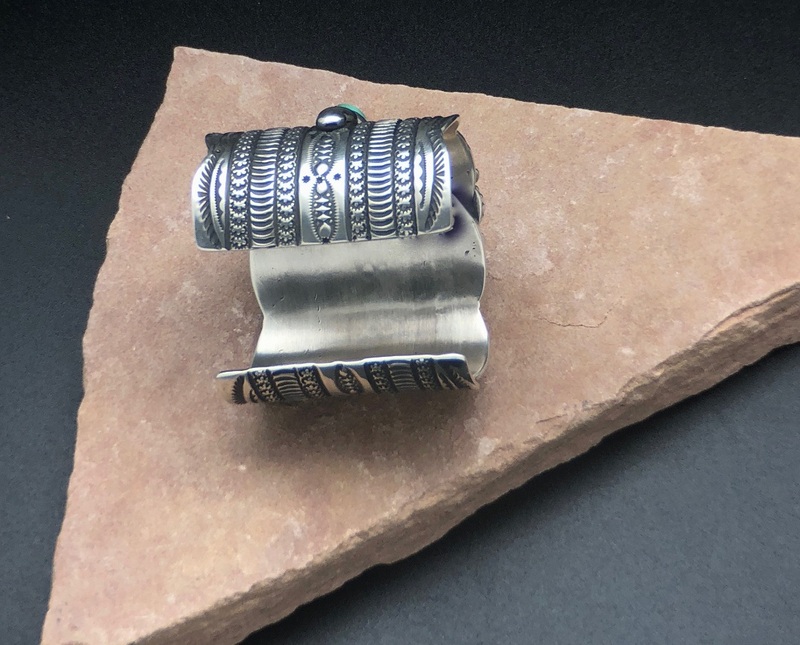 Bracelet is Hallmarked by the artist on the inside. By being only 1 piece of silver the bracelet is extremely comfortable. This is a true collectors piece that that can be worn out shopping as well as to any formal occasion. Certain to become your favorite and then a family heirloom.. 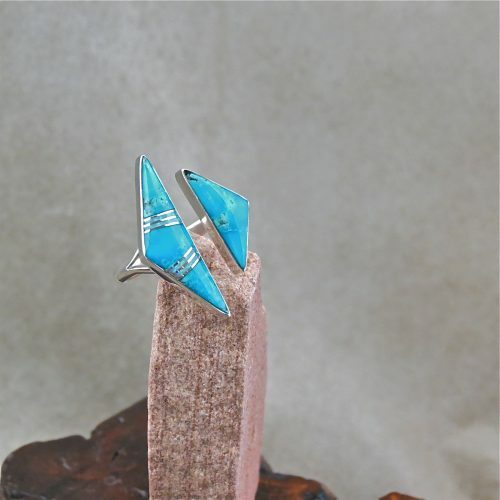 Please take a look at our ring and pendant pages for complementing pieces. 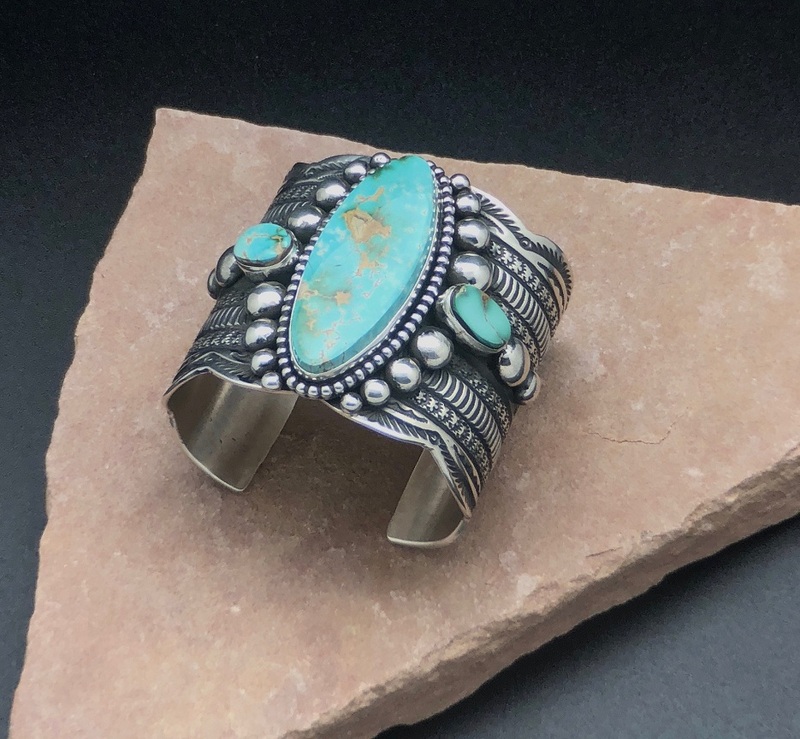 Share the post "BC 1130 NATIVE AMERICAN HANDMADE ORIGINAL “ONE OF A KIND ” BRACELET"
Spirit of Santa Fe © 2019. All Rights Reserved.